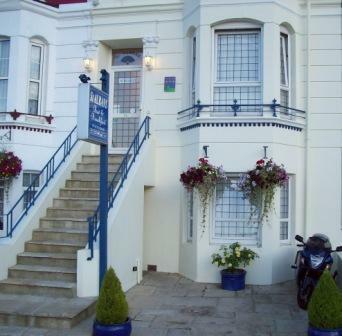 Dover accommodation a Guest house offers Bed and Breakfast in Dover England UK. Twin en-suite room is located on the upper ground floor. another 16 steps - rise 20cm tread 26cm to each level). Heavy luggage - short stays we recommend an over night bag. Copyright © St Albans Guest House. All rights reserved.